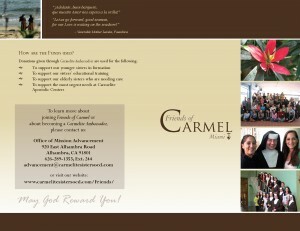 As Friends of Carmel, we support the Carmelite Sisters of the Most Sacred Heart of Los Angeles through the sharing of time, talent and treasure in their mission of fostering the spiritual life through healthcare, education and retreats. The Carmelite Sisters, through loving service overflowing from their lives of prayer, promote a deeper spiritual life among God’s people through education, healthcare, and retreats. 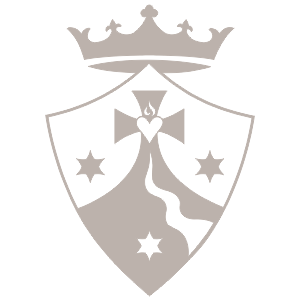 Rooted in the monastic tradition of Carmel, the Sisters’ life and mission are in service of the Catholic Church, given in the name of Christ for God’s glory, the salvation of souls and the betterment of our world. The Sisters currently serve in three healthcare facilities, eight schools, two early-learning centers and a retreat center with two campuses, from Los Angeles, California to Miami, Florida. In his Second Letter to the Corinthians, St. Paul uses the term “ambassadors” exhorting the people to become “Ambassadors for Christ”. In the same way, those who are drawn by the Carmelite spirit and desire to support the life and works of the Carmelite Sisters in a financial way, are invited to become Ambassadors. 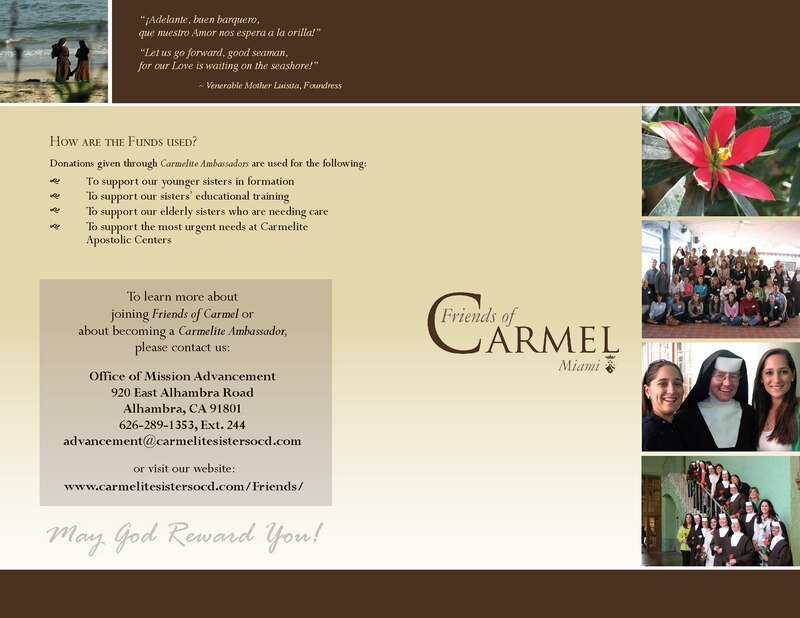 Carmelite Ambassadors make a financial commitment of $10 monthly or more than $100 a year to support the life and works of the Carmelite Sisters. 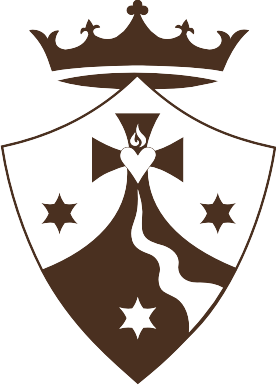 What do Carmelite Ambassadors receive?